Gepost door My Scrambled Style op 11:07 a.m.
Love everything so much, and the boots are so incredible!! Have a lovely day! Interesting sweater and great shoes! 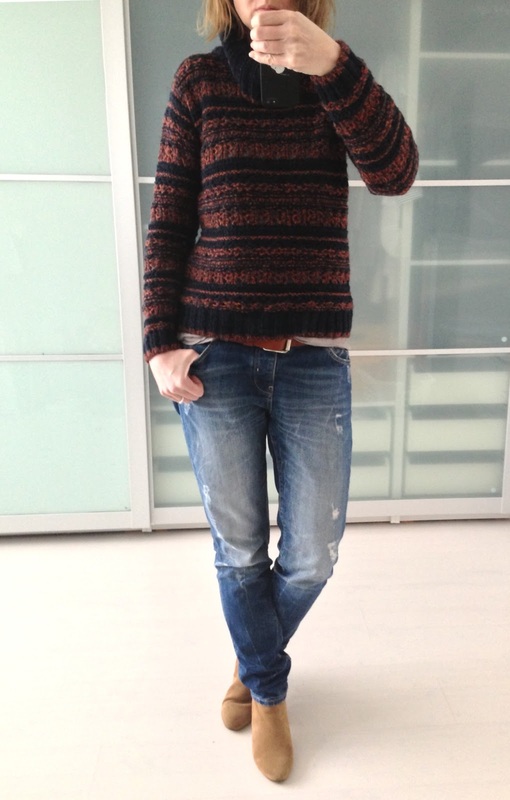 I love this kind of sweaters - so scandinavic, fantastic! Leuke trui, lijkt me lekker warm ook! Super leuk outfit! Mooie trui. De kleuren staan je mooi. Leuke trui heb je aan! Staat je goed! you have a cool beautiful outlook...this is my style!!! !